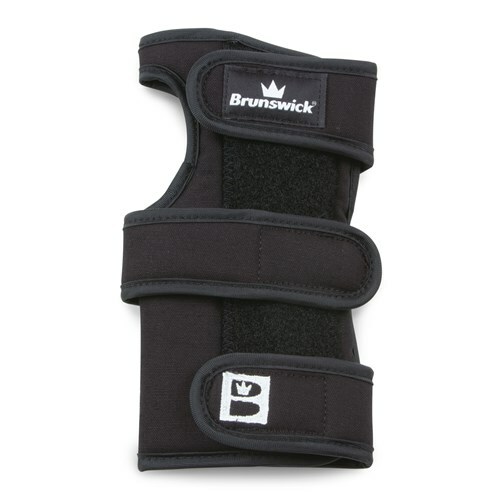 The Brunswick Shot Repeater X is an extended wrist positioner. This support helps keep your wrist positioned so you can repeat your shot over and over. This wrist support has metal inserts for the front and back that keep your wrist locked in place and the lightweight fabric used helps absorb moisture. Is this a male or female brace? Will this help with breaking of the wrist when throwing the ball? Yes, it will help with a more consistent throw. Brunswick did not provide a size chart for us. Whatever size glove you normally wear is the same size you would want to get for the wrist postioner. Will this help with carpal tunnel? Yes, this support is ideal for anyone that has any discomfort in their hands or wrists. The metal supports can be removed if they are not comfortable but they do give better support when you leave them in. Due to the time it takes to produce the Brunswick Shot Repeater X Right Hand ball it will ship in immediately. We cannot ship this ball outside the United States.